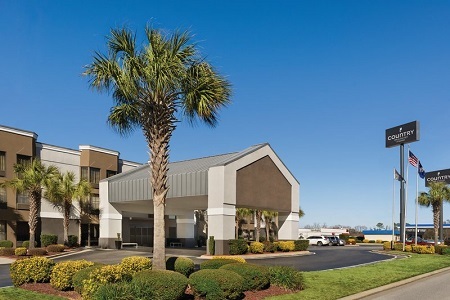 Conveniently located at the intersection of I-95 and U.S. 52, the Country Inn & Suites® by Radisson, Florence, SC provides a perfect place to rest during your Southern travels. In town for a NASCAR race? 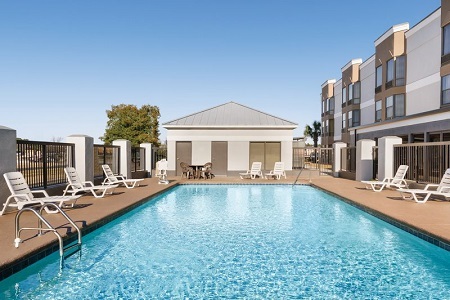 The hotel is only minutes from Darlington Raceway, and attractions like the Florence Civic Center, Magnolia Mall and Francis Marion University are a short drive from the hotel. Want to add a little romance to your road trip? 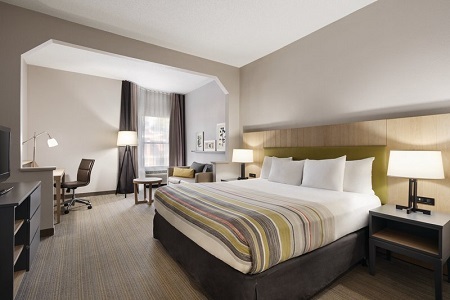 Reserve a Whirlpool Suite, featuring all standard amenities along with a two-person whirlpool. 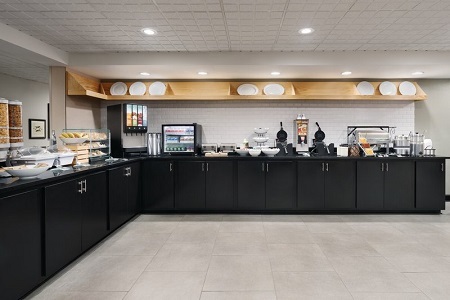 Grab a muffin and an apple for a quick bite, or sit down to a meal of Belgian waffles and biscuits with sausage gravy at the hotel’s complimentary, hot breakfast. For lunch and dinner, try a nearby restaurant like the Phoenix Bar and Grill, located within walking distance. After ordering a rib eye steak, be sure to pair it with a side of cheesy Phoenix Stix while you listen to live music. Darlington Raceway – Darlington Raceway gives racing fans one of the greatest spectacles in NASCAR. The racetrack, 15 minutes from the hotel, is home to the Southern 500. While there, visit the Darlington Raceway Stock Car Museum for a look at the colorful heritage of motorsports in South Carolina. Florence Civic Center – From concerts and conferences to athletic tournaments and trade shows, the Florence Civic Center hosts the area’s biggest events less than six miles from the hotel. This multipurpose facility boasts more than 50,000 square feet of event space, including a large ballroom and three meeting rooms. Magnolia Mall – Forgot to pack your flip-flops? Purchase a new pair at Magnolia Mall, just a 15-minute drive away on I-95. You can browse through your favorite brands before taking the kids to Chuck E. Cheese’s for food and fun. 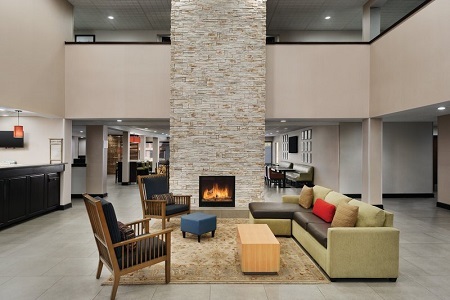 Celebrate a graduation or host a business meeting at the Country Inn & Suites, which offers versatile meeting space for up to 50 people. We can help create a personalized Web page for your event so that your guests stay informed of every detail. The meeting space includes audiovisual equipment and complimentary coffee, and the hotel staff is available to assist you with planning and setup.